Your perception interacts with your memory to connect to an emotion, an assumption, a belief, and ultimately an action. When you glance at the image below, what is your first thought? What does it represent to you? You may have seen this image before, in which case you will “know” what it is, and you may have to pause for some time before you see anything new. Why not show it to someone else now and ask what they see? What would they call it? How does this change your perception? Once an idea has lodged in your mind about what it is, you will never see this image again the same way. We create stories around our perceptions; those stories become part of our own history and being. They may become part of the way we define ourselves and our view of the world. When the story becomes our truth, we experience resistance when we meet up with a new story that does not connect to our own. So how does knowing this help us overcome resistance? I believe we have to work to create a new mutual story which grows from the two conflicting stories. It takes time, and trust, and an openness to new ideas. So now you are wondering, Marjorie, what IS this? 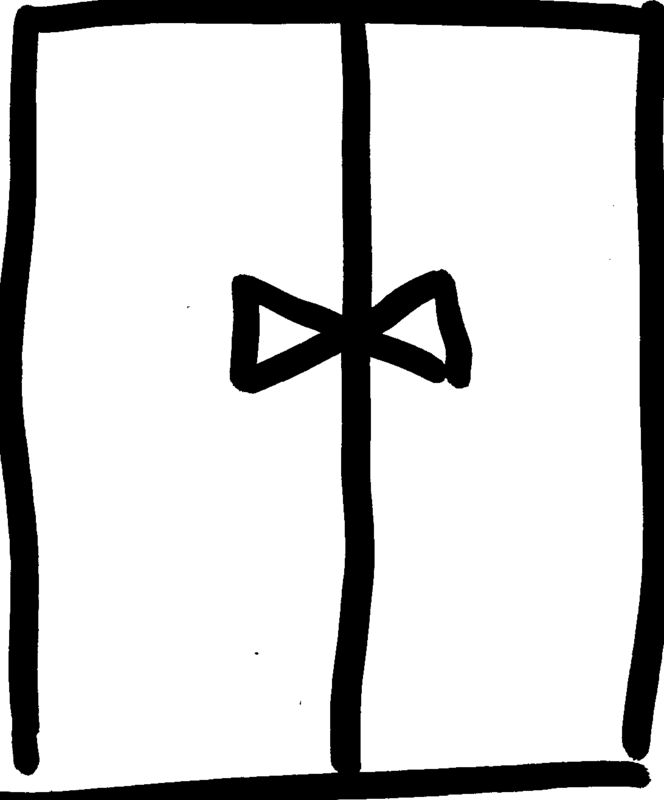 Well, I can tell you what it is TO ME — a man in a tuxedo standing too close to elevator doors. What about you? Does it look different now? This image is “Droodle”. Thank you Roger Price. This entry was posted in Uncategorized and tagged perceptions. Bookmark the permalink.